Safety is critical in offices, schools and daycare centers, hospitals and medical facilities, and commercial buildings. When a disease emergency strikes, getting the problem solved quickly and completely is essential. Recent outbreaks of infectious diseases are well-documented. Bird and Swine Flu, H1N1 influenza and staph infection are dangerous enough, but MRSA, or Methicillin-resistant Staphylococcus aureus infection, is caused by a strain of staph bacteria that’s become resistant to ordinary antibiotics. Other superbugs, such as clostridium difficile (Cdif) and ribotype 027, have also invaded the U.S.
Infectious diseases can be transmitted not only from physical contact, but also through bodily fluids, contaminated objects, and airborne inhalation. These biohazards can be deadly to those with a weakened or compromised immune system. Standard cleaning procedures are not effective in fully decontaminating and eliminating these biohazards. If you have an infectious breakout, you’ll need professional help to provide testing and eliminate the problem. For biohazard emergencies, we provide testing, cleaning, disinfection and prevention for MRSA, Swine Flu, C-Diff, and Staph infection. Worried about the presence or spread of an infectious disease or require an infection cleanup? We can help. Call us at 888-250-6653. H&H Environmental Construction and Consulting will provide you with a cleanup and sanitation plan tailored to your situation. We are well-trained and we meet all EPA guidelines for the removal and disposal of infectious material. Time is of the essence in a biohazard emergency. To eliminate infectious bacteria and viruses, surface cleaning is just the beginning. The risks of infectious diseases such as Bird Flu, Swine Flu, and staph infection require professional biohazard cleanup to fully eliminate the contaminants. H&H Environmental uses use high-quality, EPA-registered disinfectants and sanitizers to clean surfaces. (EPA Reg. No. 10324-131-72786) Our hospital-grade disinfectants are specifically rated to kill MRSA, CDIFF, STAPH and other contagious pathogens. 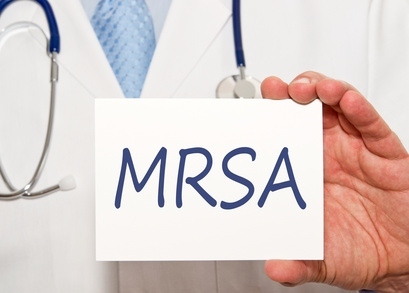 Extensive followup testing and verification ensures that MRSA cleanup is complete. ATP (adenosine triphosphate) surface tests help ensure that all surfaces are hygienically clean, guaranteeing a truly safe environment. Put our experience and skill to work for you! 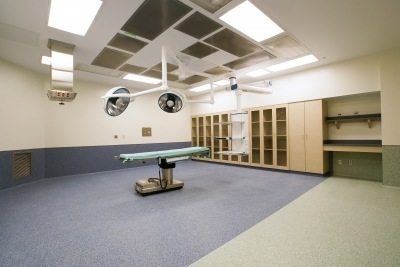 We provide medical cleaning and building sanitation services in NY, NJ, CT and MA. To learn more about our cleanup and decontamination services, call us at 888-250-6653. Professional STAPH, MRSA and Cdiff cleanup services serving New York, New Jersey, Connecticut and Massachusetts.